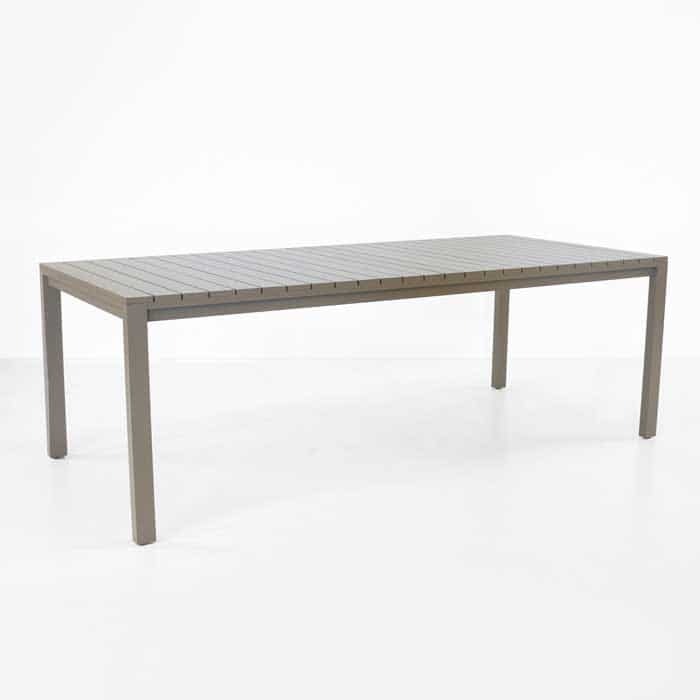 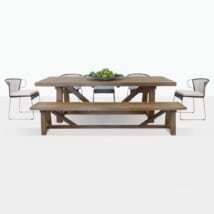 The El Fresco Rectangular outdoor dining table is the center of this beautiful outdoor dining set. The simplicity of the style doesn’t quite denote the attention to detail or gorgeous look of this set, with the all-powder-coated aluminum design and neutral medium grey color tone. 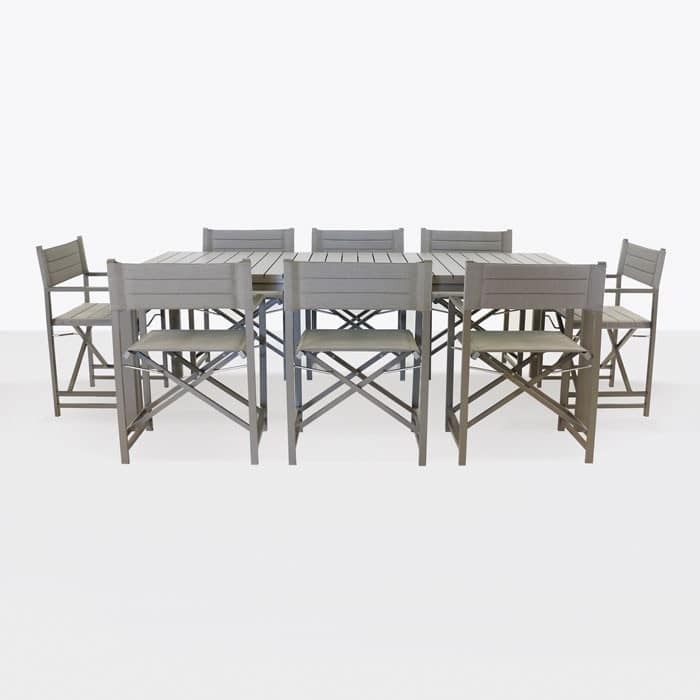 An up close look reveals the quality of this outdoor dining set, with the beautiful aluminum directors chairs and the plank style aluminum table that has a solid stature and yet, a subdued, casual feel. Made from 100% powder coated aluminum, the table is a solid reminder of the modern style, with a more high-tech approach. 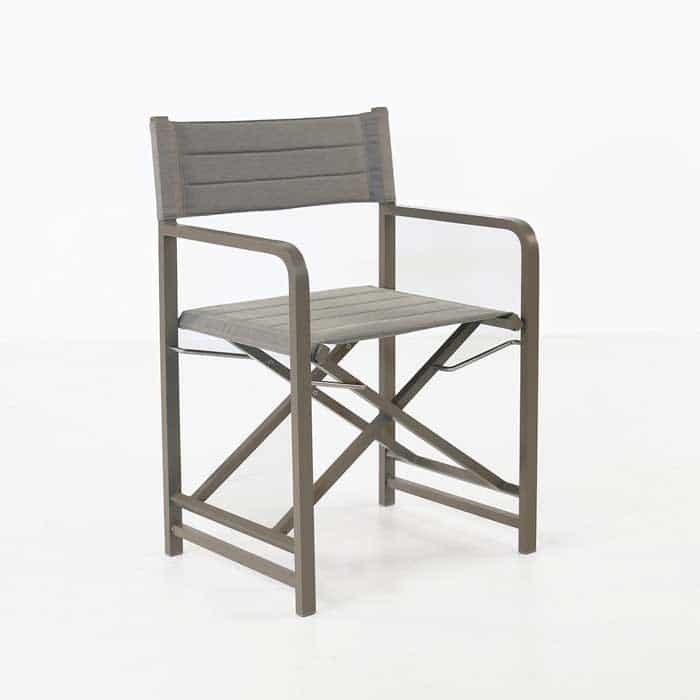 The chairs are also made with powder-coated aluminum, but are paired with a soft, outdoor friendly Sunbrella fabric seat and seatback. 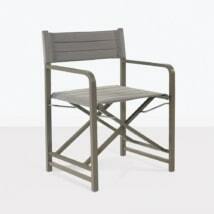 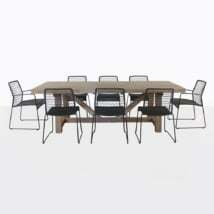 In total, the set includes 8 chairs and a robust rectangle table made specifically for year round outdoor use.